Seems Alfa Romeo is working around the clock to ensure pain-free Giulia ownership experiences. Ahh the Alfa Romeo Giulia, a car subject to more controversy than a Maury episode. Love it or hate it (we love it), you’re bound to spot one on US streets sometime soon as long as FCA’s plans to invade America fall into place. Not long ago we mentioned how in our hands, the lovable Italian Stallion was plagued by an issue or two along the road, but nothing like those encountered by other automotive outlets. Now Jalopnik has gotten ahold of a list of technical service bulletins (TSBs) for the Giulia from FCA. While TSBs are standard for all manufacturers and are generally not a subject of interest to those who don’t work at dealerships or independent garages, the question of the Giulia’s reliability makes this collection of 11 TSBs and Rapid Response Transmittals (RTBs), which indicate a more urgent fix is necessary, more interesting. First up is an issue of steering chatter that’s apparent when the steering wheel is at full lock. Turns out this isn’t a problem but evidence that a system called AlfaTM Link is working. The system is responsible for keeping understeer at a minimum by altering steering angle, making ABS-like pulses through the steering wheel when in operation. The bulletin basically tells technicians to inform the customer of this and tell them to chill out. Next up is the stop/start and heating system, which required a software update to keep the rear defroster working when the engine was shut off using the stop/start system as well as making it so that the heated seats start at max heat when the button is pressed (previously the system heated up progressively with each button press). After that we get to the brakes, which tends to a problem with disconnecting pad wear sensors. It calls for the technician to secure a grommet on the wiring harness with tape and a zip tie to keep it secured against the brake caliper bracket. The cooling hose retainer also pops up in the list of RRTs, calling for a zip-tie style retainer to be replaced with a clip to keep it from rubbing and puncturing the hose. The beefiest fix, or bulk of fixes rather, involves updates to various systems to remedy a collision warning system that may turn itself off as well as a repair to the fuel gauge that sometimes showed a single bar of fuel when in fact the tank was empty. Additionally there’s a fix to the body control module to ensure that the remote start system works consistently. A larger update is made to the infotainment to remedy buggy software behind the intermittent lock up of the screen and malfunctioning navigation system. Along with that is a fix to the oil status display so that it shows correct oil levels. The last of the electrical system fixes is made to the adaptive cruise control system, which could see wheel speed sensors lose signal and malfunction. 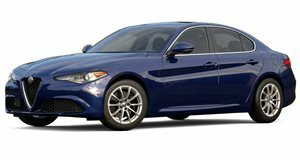 The rest of the fixes don’t concern Giulia QV owners because they center around the 2.0-liter turbocharged four-cylinder engine. Immediately after fueling, the Giulia could see inconsistencies with the evaporate emissions system as well as a code thrown for the throttle body, causing stalling in some cases. Rounding out the 11th and final bulletin is the transmission, which was jerking and bumping customers after pulling away following a stop/start system engagement. A mere software update is all it takes to rid the Giulia of the issue. While this list may seem extensive and touches on some of the problems seen by other publications, the lack of catastrophic system failures goes to show that either journalists are getting incredibly unlucky with test vehicles or that Alfa has yet to find all of the issues plaguing the Giulia.